After a wonderful break for the holidays, phase(two)learning is back in full swing for 2015. Not only have I taken a blogging break, but I also enjoyed a near-total “digital detox” – I’ve been laying low on Facebook, Twitter and LinkedIn, clearing the perpetual noise, hanging out with my family and working on some projects. Still busy (the holidays have a funny way of keeping things hopping! ), but blissful. What did I learn upon re-entering social society? So, here we are. It’s 2015. Lots of big things are on the horizon for yours truly this year, both professionally and personally. I’ve pounced on a terrific new day job opportunity that is overflowing with promise (more on that in an upcoming post). Speaking at ATD TechKnowledge next week (!). My daughter is turning 18 in a few weeks – she is graduating from high school and starting college this year (which turns me into an emotional wreck just thinking about it). And if that isn’t enough, I have a pretty big birthday milestone waiting for me in September….gulp. In the midst of all of these big things, it could be easy to forego the New Year’s Resolution attempt – but I won’t, because learning and growing doesn’t stop simply because we’re busy, amiright? My friend Brian from Train Like a Champion had a recent post about committing to a one-word resolution. I like his succinct concept. 2. Give more than I take. Pretty simple, really, but pretty important stuff. These are goals that translate in both personal and professional settings. Hold me accountable, Phase(Two)Nation! 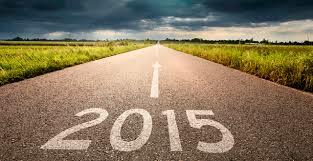 2015 is going to be a great year…thanks for coming along for the ride! In the next few posts, you’ll learn what a nail salon taught me about 70-20-10, get a recap from ATD TechKnowledge, and hear about my Adventures in Onboarding at the new day job…you don’t want to miss it! Your turn: What are your resolutions for 2015? What are you hoping to learn/achieve/do this year? Tell me about it in the comments section – I’d love to hear what you’re working on! Know of someone who might appreciate this post? Be kind and share it! Will you be at TechKnowledge next week in Las Vegas? If so, let’s connect!